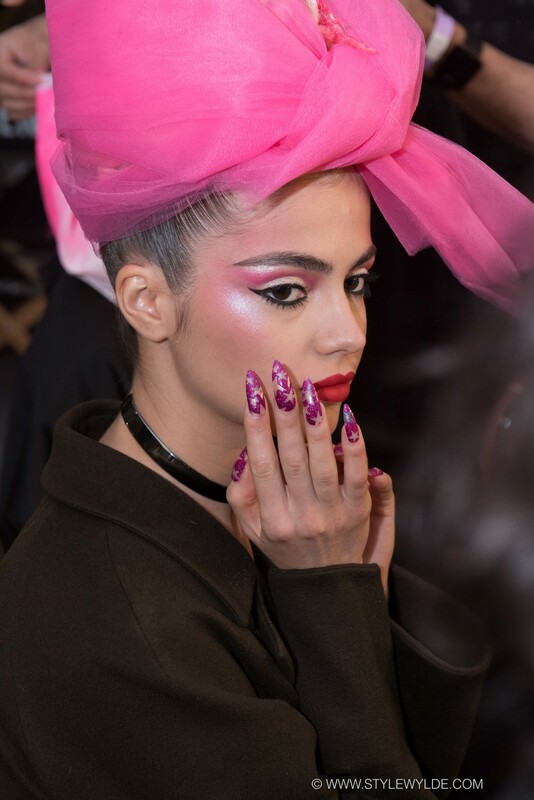 Alice and Wonderland with a major psycho-tropic upgrade was the look being created by MAC cosmetics, Oribe Hair and CND Nails backstage at The Blonds Fall 2016 runway show. Second in theatrical appeal only to the actual runway show itself, backstage at any The Blonds show is always an amazing scene to behold. The creativity of these three stellar teams who have worked in partnership with David and Phillipe Blond for several seasons now, and the often gravity-defying construction they undertake for each show is amazing to see, and so much fun to shoot. Here are just a few of our favorite shots from the scene. Click on any image below to launch lightbox mode for best viewing. All images: Cynthia Anderson for Style Wylde. 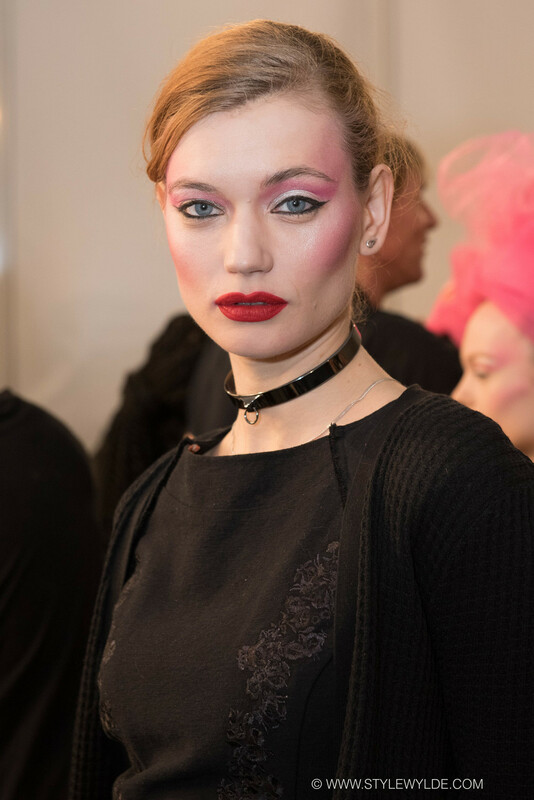 To see the full, dazzling images from The Blonds Runway show, check out our feature in Runway.